With a premium price comes premium quality. Anda Seat's Dark Wizard Gaming Chair delivers on its promises of sturdy construction and comfortable materials. If you weren’t aware of manufacturer Anda Seat‘s prior history with developing car seats for racing enthusiasts, it becomes more clear when you first feast your eyes on one of their high-end gaming chairs. While the company has been around since 2007, they’ve spent close to a decade tinkering and fine-tuning their design process in order to move into the world gaming. Having hit North America last year, their catalog of products is filled with a bevy of sleek (and sometimes colorful) chairs, all with names that would slide right into your favorite fantasy series. 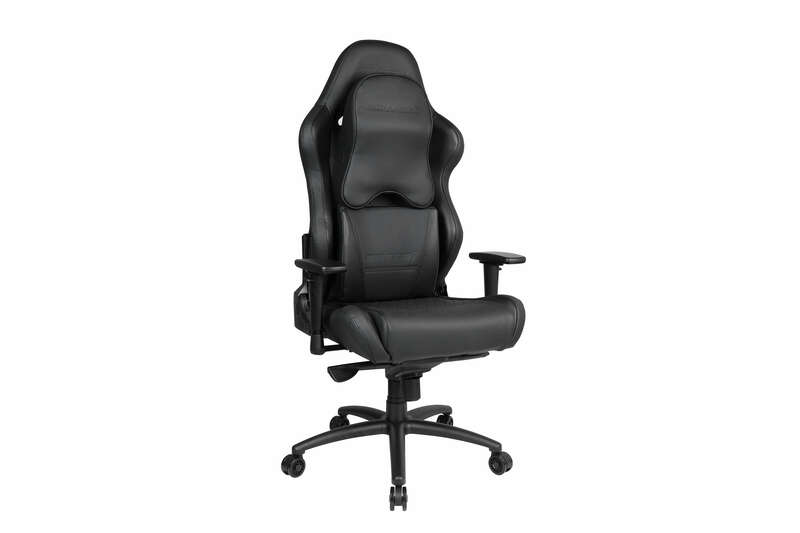 I’ve spent the last month and change with one particular chair — the Anda Seat Dark Wizard, which caters to big and tall gaming enthusiasts such as myself. I’m happy to say that Anda Seat delivers on their promise of high-quality products that both look and feel the part. For those worrying that setup would be difficult, fear not. Compared to other chairs I’ve assembled over the years, the Dark Wizard is fairly easy to put together. The installation guide features clear, detailed pictures with important pieces and processes highlighted in color, as well as instructions in multiple languages. The only tools required during assembly are two differently sized hex keys, both of which are included. There’s also an operation guide, which details the features and functions of the chair once it’s all assembled. In a bizarre move, the operation guide adopts a “one size fits all” policy, which means that it may detail functions that your specific chair doesn’t have. I spent 30 minutes trying to figure out how to adjust the width between the two armrests, only to find out that the Dark Wizard doesn’t feature that level of adjustment (more on that in a bit). One of the Dark Wizard’s most impressive feats is its build quality and Anda Seat’s attention to detail. Clearly, the company’s time spent working on seats for race cars has paid off. Compared to other companies — who might design their own products which are then manufactured by a third party — Anda Seat is involved from start to finish, from designing the chair, owning the designs, and manufacturing their products on their own. As a result, the end product is rock solid. I ran into no issues with stripped screws or mismatched threads, and after over a month of use, I see no immediate problems with wear and tear on individual components. Taking a look at the specs, and its evident that although the Dark Wizard caters to the bigger and taller individual, gamers of all shapes and sizes will be able to use it without issue. Anda Seat recommends the chair for those between 5’6 and 6’8, though it officially supports heights up to 7’2 — I was even told that NBA player Dante Exum (who is just shy of 2 meters tall) uses an Anda Seat chair. The recommended weight capacity is 400 lbs or less, though the maximum load is rated at 440 lbs. The Dark Wizard features enough knobs and adjustable parts to satisfy the most finicky of users. As expected, you can adjust the height as well as tilt tension, and you can also lock the chair in place at a specific level of tilt. The armrests can be pivoted, allowing you to easily rest your arms at a specific angle during a long gaming session. Instead of an adjustable lumbar, Anda Seat packs in a lower back cushion and a headrest, which are affixed using clips and straps. You can also adjust the angle of the backrest itself, from a standard upright 90 degrees, all the way down to 160 degrees. 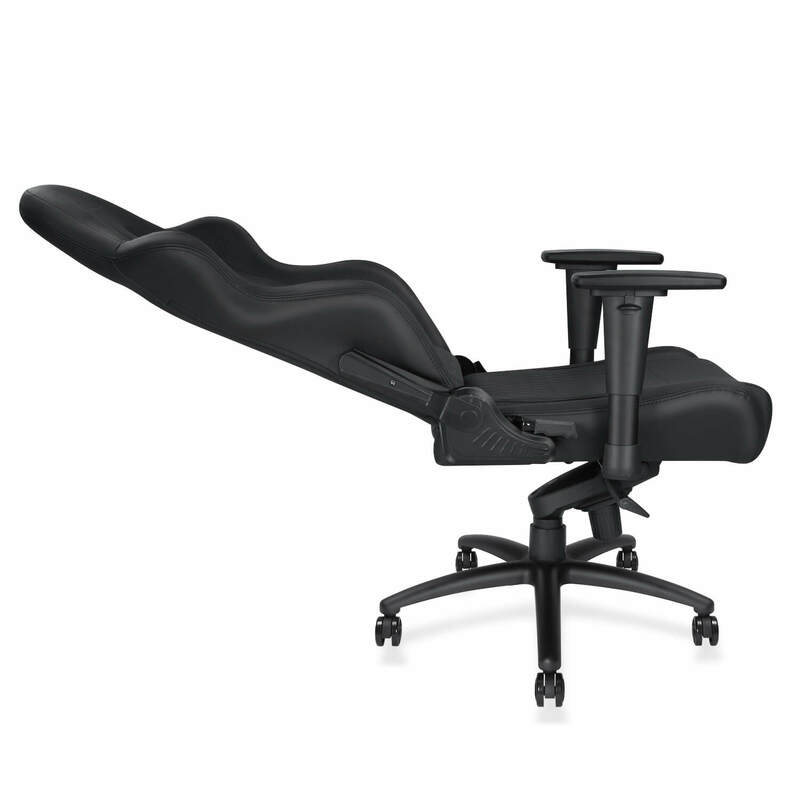 While I personally didn’t find myself needing to recline all the way, I can imagine its use when playing certain games in VR. If there’s one thing I would have liked to have seen, it would be more control of the armrests. Unlike some other chairs I’ve used in the past, the Dark Wizard doesn’t allow you to move the armrests out to the side or more inward, and there’s also no option to slide the armrests away from or toward you. That being said, height adjustment makes the cut, as well as the aforementioned pivot function. Of course, with high quality, comes a higher price. While the MSRP listed on Anda Seat’s website comes in at a cool $500, I’ve seen the Dark Wizard on Amazon for $380. At the time of writing, Black Friday sales have brought the price down on both Anda Seat’s website and on Newegg, with sale prices ranging from $250 to $330. If you’re in the market for a high-end, solidly constructed gaming chair, Anda Seat has you covered. The Dark Wizard delivers on all fronts, with comfortable cushioning, sturdy materials, and a sleek aesthetic that won’t come off as overly flashy or ostentatious. The Dark Wizard has found its place in my home office, and I imagine it will remain there for years to come. The Anda Seat Dark Wizard Gaming Chair was provided to us for review. Its manufacturer suggested retail price is $499.99, though it is regularly on sale for $379.99 on multiple websites. At the time of writing, it can be found online for as low as $249.99 as part of Black Friday 2018 sales.